6 Day Tour around the attractions from Kunming to Guiyang! ​Join our team for this 6 Day Kunming to Guiyang Tour and adventure across a number of attractions between Kunming and Guiyang. Our Kunming to Guiyang Tour includes incredible natural scenery, an insight into local cultures and magnificent sightseeing. 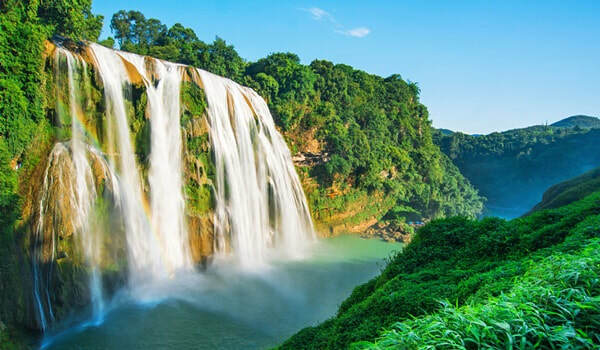 The Kunming to Guiyang Tour is perfect tour for visitors looking to experience the main attractions between Kunming in Yunnan Province and Guiyang in Guizhou Province. 9:00 am: Meet at your Xingyi Hotel Lobby. 9:00 am: Meet at your Anshun Hotel Lobby. Please note, if you'd like to find out the latest pricing for our Kunming to Guiyang Private Yunnan Tour, please contact us directly. Arrive into Kunming the day before your tour is scheduled to begin in preparation of your private tour from Kunming to Guiyang. Visitors have the option to watch the Dynamic Yunnan show in the evening (additional fee), if interested. Otherwise, enjoy the evening at leisure in Kunming prior to your tour. To commence the tour, your tour guide will meet you at your Kunming Hotel Lobby. The first stop is the Shilin Stone Forest and it takes approximately 1.5 x hours from Kunming to the Stone Forest. 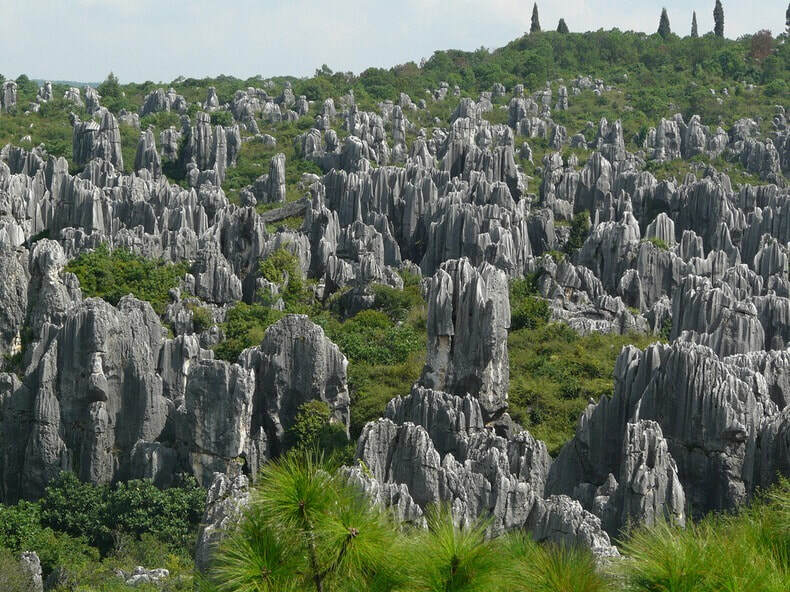 In 2007, the Shilin Stone Forest Scenic Area was listed as one of Yunnan's UNESCO world heritage sites. It's home to a unique type of karst landform and offers spectacular views overlooking the landscape. Following the visit to the Stone Forest, enjoy lunch before you're transferred to Xingyi (approx.3.5 x hours). After arriving into Xingyi at your hotel, you'll enjoy the evening at leisure. 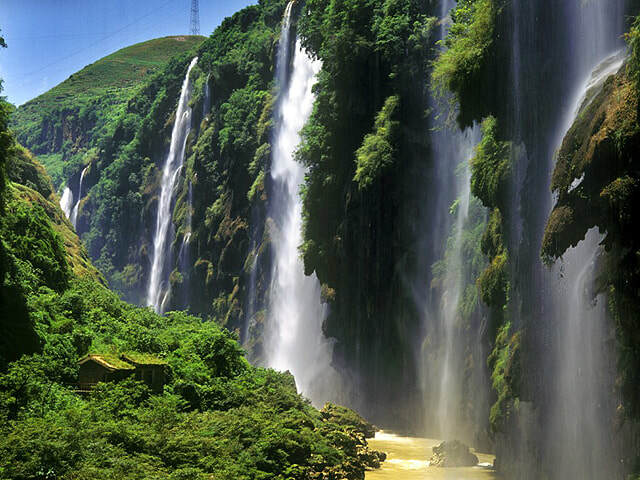 During the morning, you'll depart from your Xingyi Hotel and visit the Wanfenglin Scenic Area. In Chinese, the direct translation is the 'Ten Thousand Peak Forest' and when you arrive, you'll know why as there are karst formations as far as the eye can see! 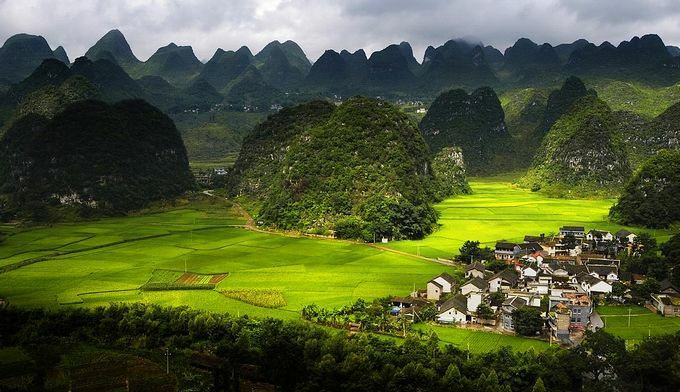 Aside from the karst landscape at Wanfenglin, there are surrounding mountains, waterfalls, villages and fields, providing an incredible beautiful scenic area for visitors. You're welcome to explore the area on foot as there are different trails or choose to take an electric shuttle for an additional fee. Following the visit to Wanfenglin Scenic Area, you'll stopover for lunch and thereafter travel to the Malinghe Canyon Scenic Area. As a tributory of the larger Nanpan River, the Maling River runs directly through this spectacular canyon with cliffs on either side of the river. During the afternoon, you'll explore the Canyon and its surrounding area and visit the Tian Xing Gallery - the most famous scenic spot within the entire park (which is viewed by entering an elevator). In the late afternoon, you'll be transferred back to Xingyi for dinner. Your guide will assist you with dinner options, depending upon your preferences and after dinner, the rest of the evening is at leisure. 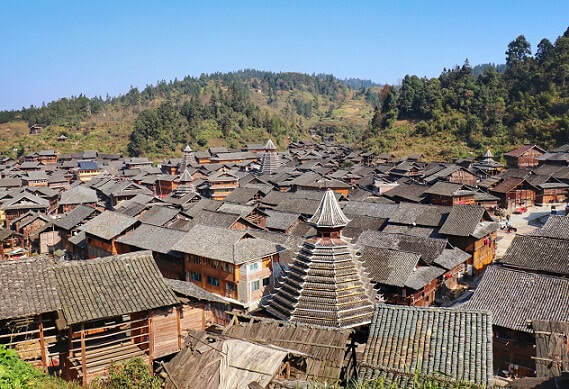 To begin the day, you'll meet your tour guide and driver at your Xingyi Hotel and start the tour by visiting two different ethnic minority villages - the Buyi ethnic minority and Zuoqi Black Miao ethnic minority villages. The Buyi people are famous for their textiles where you'll be able to see their traditional weaving and spinning whilst the Zuoqi Black Miao ethnic minority wear amazing clothes - large earrings, dark turbans for their hair and clothing made from cotton. 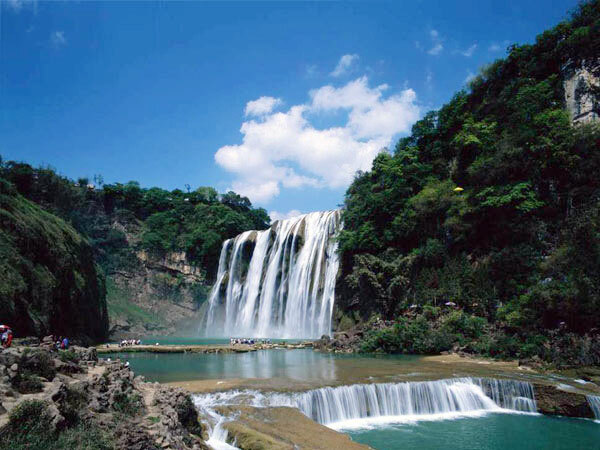 Following lunch, you'll visit the Huangguoshu Waterfalls. These incredible waterfalls have a height of 81 meters and are over 100 meters wide, making the falls Asia's largest waterfalls. Aside from the falls, the surrounding scenery features various mountains, springs and a cave behind the falls. In the afternoon, transfer to Anshun where you can choose to explore the Anshun night markets or evening at leisure. 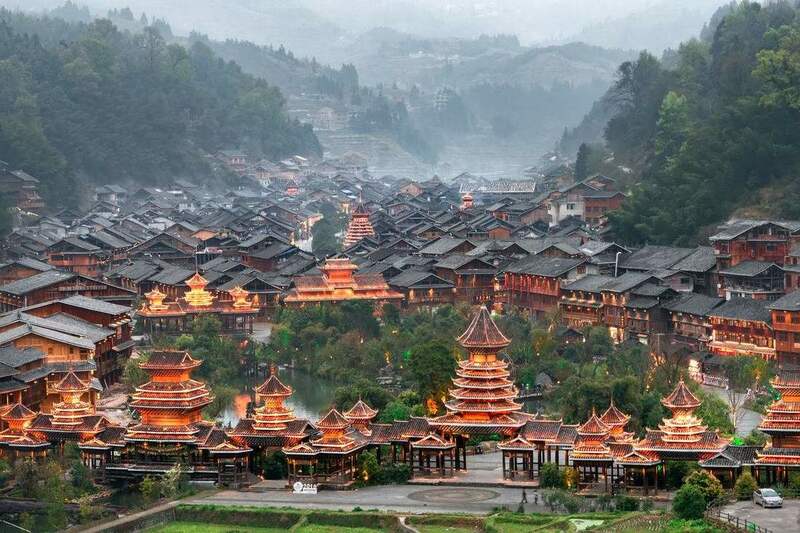 Meet your tour guide in the morning at your Anshun Hotel and travel back to Guiyang City (approx.1.5 x hours) where you'll visit Qingyan Ancient Town. Qingyan Ancient Town is one of Guizhou's most famous ancient towns and was built in 1378 (over 600 years ago!). Featuring ancient buildings, architecture and city walls built from rock on the surrounding cliffs, this is a highlight for many visitors traveling to Guiyang. We'll explore Qingyan Ancient Town during the morning. 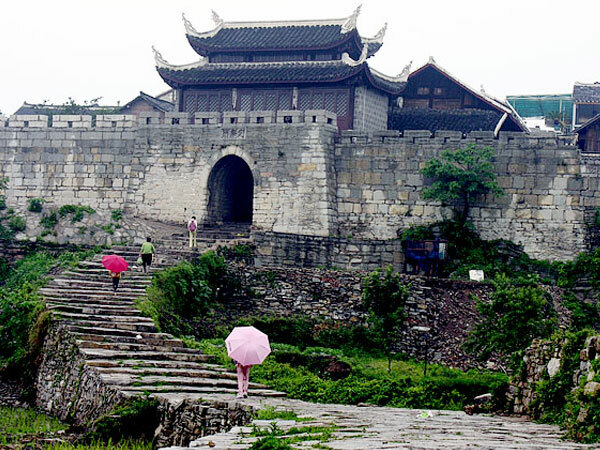 After lunch, depart Qingyan Ancient Town and travel into Guiyang City where you'll visit the 2-story Jiaxiu Tower. Originally built in 1597, the Jiaxiu Building consists of a tower, bridge and surrounding garden. It's a protected national site and is a nice place to visit in the early afternoon in Guiyang City. Following Jiaxu Tower, you'll be transferred to your Guiyang Hotel, with the option to explore Guiyang in the evening or relax at leisure. In the morning, you'll meet your tour guide and driver at your Guiyang Hotel where you'll be transferred to the Guiyang Railway Station for a high-speed train into the ethnic minority heartlands of South-Western Guizhou Province.Upon arriving into South-Western Guizhou Province, your local driver will be meeting you to commence your exploration! 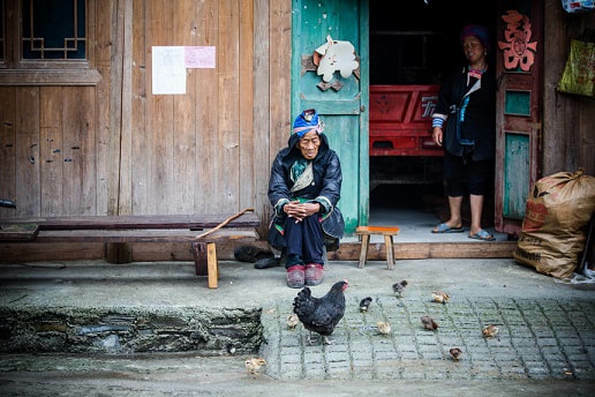 The first stop in the itinerary is a visit to a nearby Miao Ethnic Minority Village. 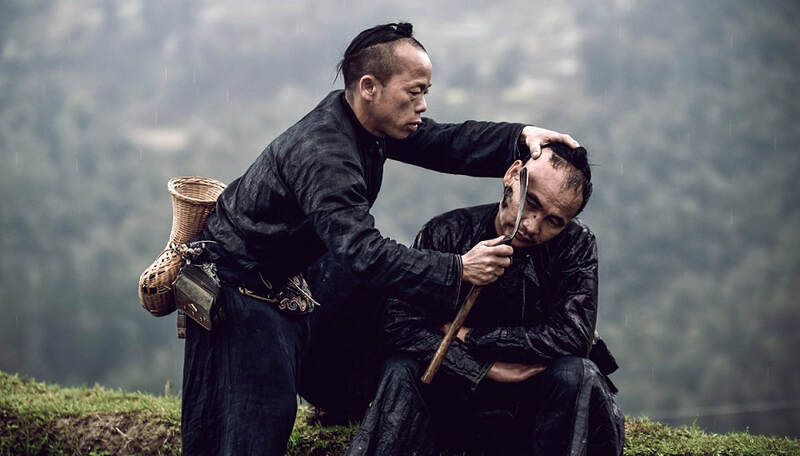 The village, Basha Miao Ethnic Minority Village, is a small hunter-gatherer village known as the last tribe in China with guns! ​Visitors will explore the village and watch the local performance, which the villagers perform. This is a great insight into their traditional culture as well as a way to support the development/improve their living standards! ​The village has become more 'developed' over recent years so if you're looking for a very remote and isolated village, please let us know instead as we can switch over the itinerary. After visiting Basha, you'll be transferred to Zhaoxing Dong Ethnic Minority Village. This is the largest Dong Ethnic Minority Village in China nestled in a valley between surrounding mountains and rice terraces. Zhaoxing Dong Village features drum towers, old houses and spectacular views (especially at night). ​You'll get the opportunity to explore the village, check-in to their hotel and enjoy the local performance followed by dinner. A walk up to the viewpoint to see the night views is also an optional activity (no additional fee) for those interested. The evening is at leisure in Zhaoxing Dong Ethnic Minority Village. Meet your tour guide in the morning at your Zhaoxing Hotel (meeting time is flexible and can be discussed with your tour guide). You'll then further explore the Zhaoxing Dong Ethnic Minority Village. 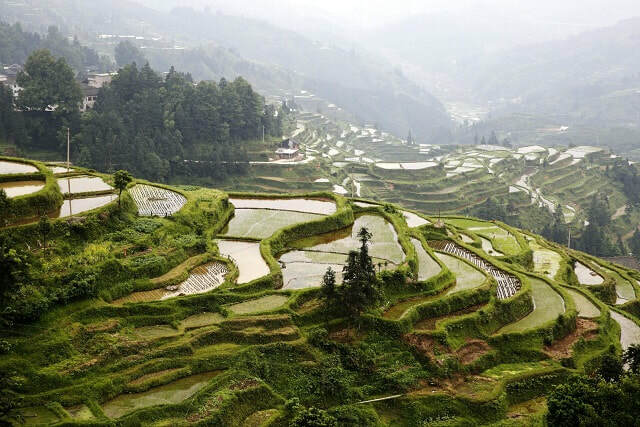 Thereafter, you'll walk to the nearby Tang'an Dong Ethnic Minority Village - which features a scenic walk along the trails and with spectacular views overlooking surrounding Rice Terraces! ​The hike from the Zhaoxing Dong Ethnic Minority Village to Tang'an Dong Minority village is uphill and a great option to explore the nearby vilages from Zhaoxing. 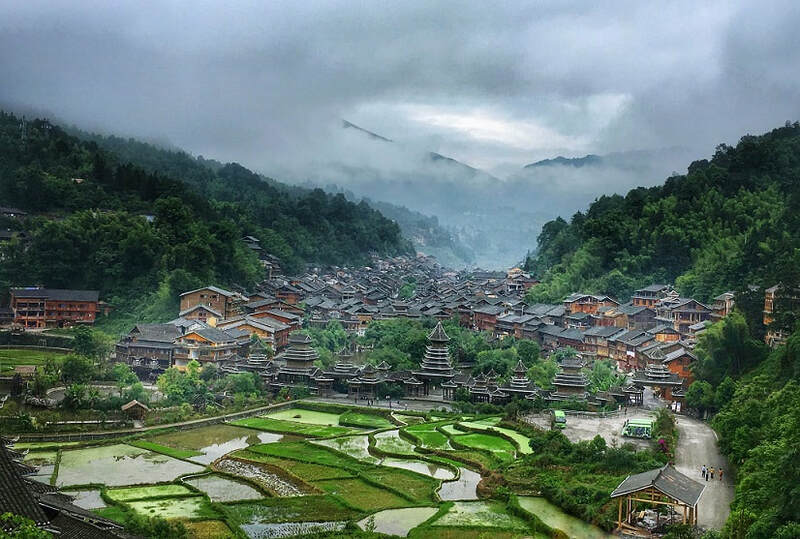 Following the visit to the Tang'an Dong Ethnic Minority Village, you'll be transferred directly to an off-the-beaten track, Dong ethnic minority village. The village is very isolated and poor but everybody is very friendly and welcoming to outside visitors. In support of the local village, we arrange a singing performance as well as tour around the village itself, allowing you to experience something totally different from what Guiyang City and its surroundings has to offer. Afterwards, you'll be transferred to the railway station to board a high-speed train back to Guiyang, where you'll arrive in the afternoon. 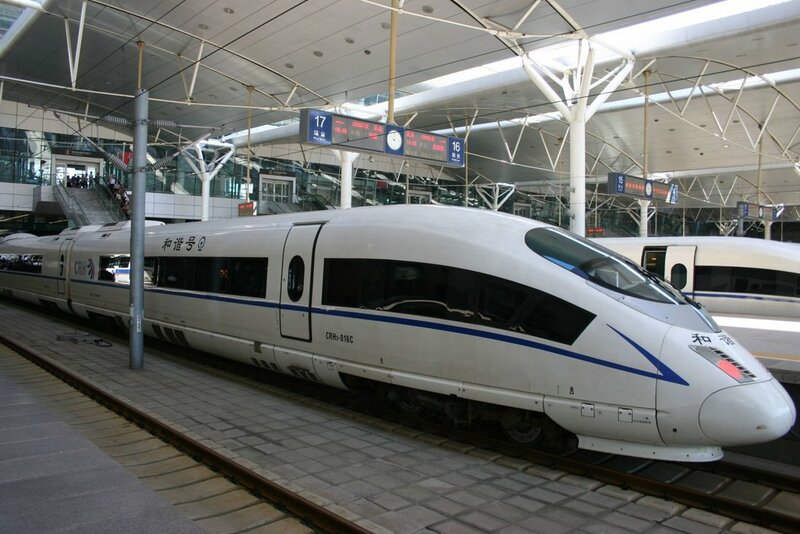 Thereafter, private transfer from the Guiyang Railway Station to your Guiyang Hotel to enjoy the evening at leisure in Guiyang. Visitors can also choose to transfer to Guilin or Guangzhou. END OF TOUR.